Its 5th Feb... World Nutella Day.. and I had a real goey-Nutella-y recipe in mind. So dreamily I went to the kitchen yesterday... thinking of all the goey deliciousness that was waiting for and Oh My... what do I see.. that jar of Nutella has been almost spooned clean. I was almost in tears... 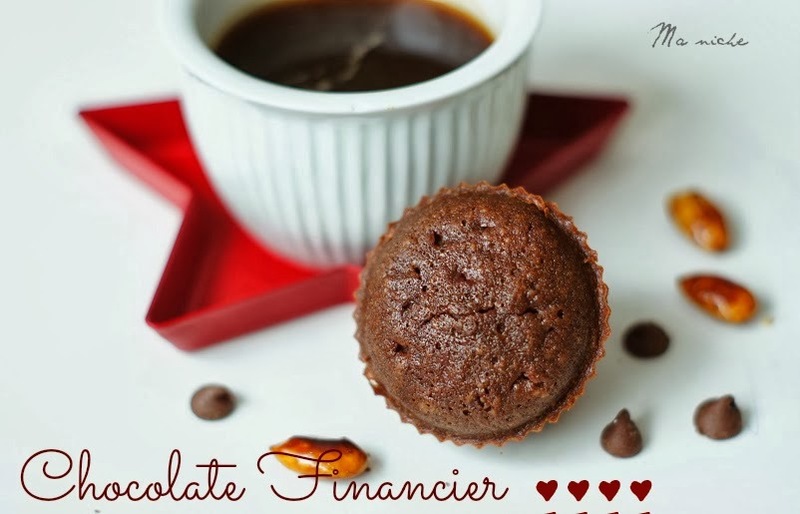 It might have taken me a few minutes to get over that initial frustration ... and then I thought of making these Financier. Not Nutella Financier exactly but DELICIOUS none the less. Center the rack and preheat the oven to 350°F. Brown the butter. For this, cut the butter into pieces and add it in a small sauce pan. Bring it to a gentle boil over medium heat. Once the butter boils keep a close eye on it. The period between the time when the butter begins to take on the golden brown color and the point when it burns is very little. Switch off the heat as soon as the butter takes the hazelnut color and keep the pan aside. In a separate saucepan bring the heavy cream to a full boil. Switching off the heat, add the chocolate chips to it and stir just until you have a smooth shiny ganache. Keep aside. In a large bowl, whisk all the dry ingredients together and keep aside. In another bowl, whisk the egg whites just until it is foamy. Pour the egg whites over the dry ingredients. Using a spatula, gently stir in the whites, followed by the melted butter and the chocolate ganache, just until the ingredients are well incorporated. Do not over mix. Spoon the batter into 24 buttered mini-muffin molds, filling only ¾th of each mold. 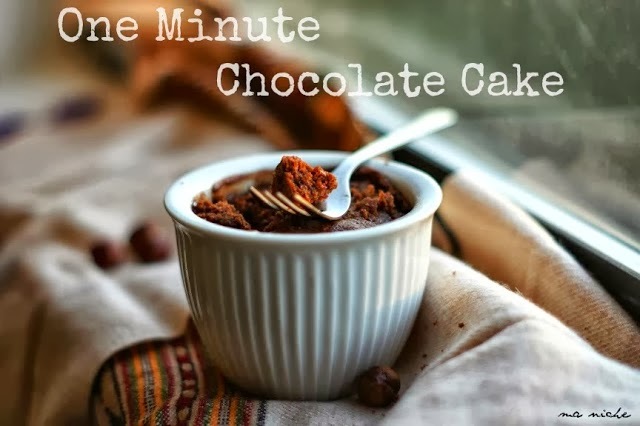 Bake in the preheated oven for 10-11 minutes, until the top of the cakes are dry and a toothpick inserted in the center comes out clean. Cool the cakes, about 3 minutes, before unmolding. You can make the batter up to 3 days in advance and refrigerate until ready to bake. The baking time depends on the size of the molds. 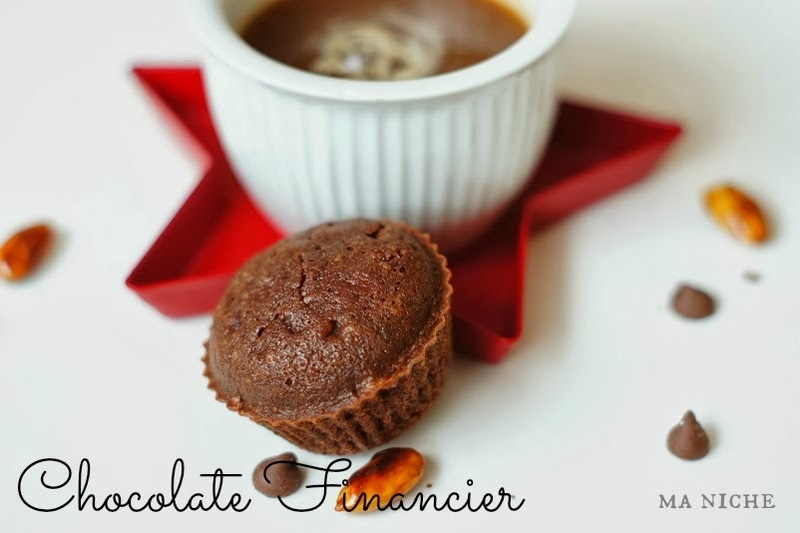 In cake you make muffin-sized financiers, you will need to bake these cakes for 15-15½ minutes. In case you just want Nutella for Nutella Day, these might be a good idea.. This looks so yummy! I can't believe I missed World Nutella Day, I guess I'll just have to make these to make up for it! These look yummy! Thank you for linking up at Tasty Tuesdays! Your post has been pinned to my Recipes from Tasty Tuesday board. I can't wait to see what you link up next week! 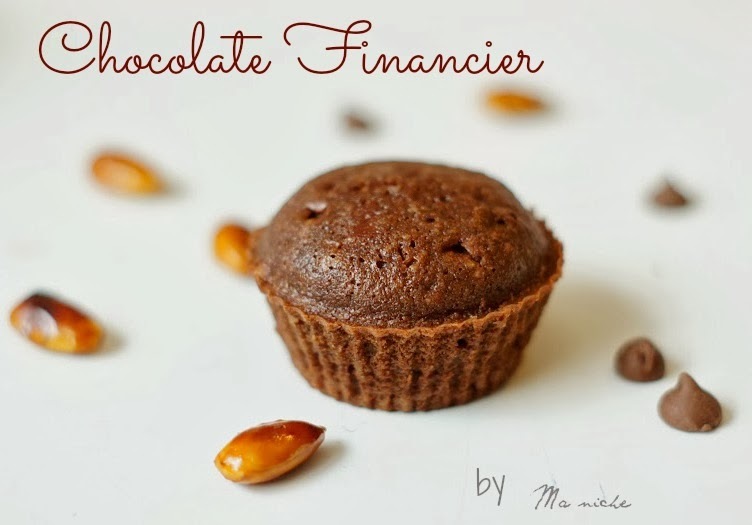 Great presentation for your Chocolate Financer, looks delicious! Hope you are having a great week and thanks so much for sharing with Full Plate Thursday! These look delicious! I'll have to try them with hazelnut too - I love Nutella. Thanks for linking to the In and Out of the Kitchen Link Party. Hope to see you next week.